CALL TODAY FOR FREE MOVING ESTIMATE SO WE CAN MAKE YOUR MOVE ENJOYABLE! Commercial movers, Antique movers and more. Although there are other moving companies in Massachusetts that you could choose from, TLC Moving Cambridge provides the greatest value and the finest Boston movers available in today's relocation market. We are a flexible and affordable Cambridge Moving company and our movers are fast, courteous and gentle with your belongings. We are professional home and apartment moving company, commercial-office mover and piano mover. We offer the disassembly / reassembly of complicated equipment or furniture like swing sets, pool tables, pianos. 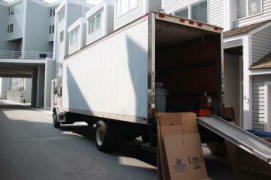 We are the most reliable Boston Moving Company to call when you need to be moved anywhere in the nation. Our commitment is to exceed your expectations for moving and storage service in every detail, every time. TLC Moving and Storage will guaranty that you will be treated with Tender Loving Care every step of the way.